Indu Thampi malayalam actress profile and biography is given below. For large screen viewers she is 'Neenu' of "Father's Day" and for small screen audience, she is "Pooja" of "Oru Penninte Katha". Aren't you excited to know more about her? Read below and you will get the information you are searching for. 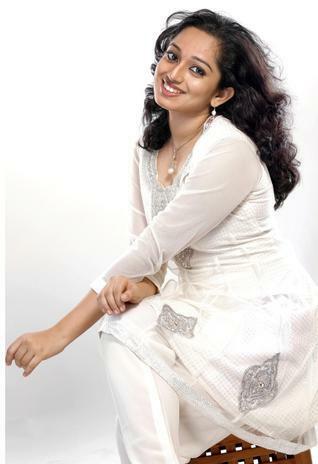 Indu Thampi is an upcoming Malayalam actress who hails from Trivandrum, the capital city of Kerala. She was declared the Miss Kerala 2010 at the contest held at Le Meridian International Convention Centre, Kochi. She was awarded the titles such as Miss Radiant, Miss Sensuality, and Miss Beautiful Eyes as well. It was actually a turning point in her life. She was called for the Malayalam movies "Anabella" and "Father's Day". Indu Thampi has completed her Post Graduation in MA (English Literature) from All Saints' College, Trivandrum. Her main hobbies are reading, dancing, writing and painting. She was trained in dance for about 6-8 years and has learned music for an year. Indu has a great passion for acting. It was her second movie which released first, hence "Father's Day", directed by the known director Kalavoor Ravikumar is considered to be her debut movie. In this movie Shehin, Indu Thampy, Revathi, Lal and Shankar Panikkar played the lead roles. Another peculiarity is that Oscar award winner Rasool Pookutty made his acting debut through this film. Indu was selected by the director himself and was given the role of 'Neenu', a distant relative of Seetha Lakshmi (Revathy). Neenu is a smart modern college student who stays with Seetha Lakshmi. She did get positive reviews even though the movie was just an average one. The film could not take her places but she is ready to wait until her second movie "Anabella" releases. In an interview regarding her experience with the movie "Father's Day", Indu commented that she was really lucky to get great mentors such as Lal, Revathy, Idavela Babu and was able to work with many senior artists for a great director's project. She was very much excited, tensed and was little scared seeing the camera, but all the senior artists were very helpful and they guided her in all her difficulties through out. It was indeed a joint work and the entire team was like a family. In fact she enjoyed the shoot. About the movie, Indu said that it is a touching one with a different theme. After her debut movie in Malayalam, like many other former Malayalam actress, Indu is also trying her luck in Kollywood through the movie "Nizhal", a bi-lingual in Tamil and Malayalam. The film is a romantic thriller directed by actress Ambika and her brother and actor Suresh Nair. In this movie Indu plays the role of Anna, an orphan born and brought up in the United States of America. Indu is engaged to Aditya (Major Kishore), a Malayali. Anna who has never been to Kerala, will come along with Aditya to Kerala, and several incidents will take place there and that is the twist of the movie. This film takes away the credit of being the first POV movie in Tamil. The Malayalam movie "Anabella", which is supposed to be the first movie of Indu Thampi is the first POV movie in Malayalam. It is actually the Malayalam version of "Nizhal". This film too is directed by the renowned actress Ambika. Apart from large screen, Indu has also made her debut in small screen through the K.K Rajeev serial "Oru Penninte Katha" telecasted on Mazhavil Manorama. K.K Rajeev is known for his great serials, it is indeed a great opportunity for Indu to work with such a great director. In this serial, Indu appears as 'Pooja Narendran Unni', younger sister of Reema (Sree Lakshmi). Pooja is a student who is modern and bold in life. She has to undergo several emotional stress due to certain problems within her family and around her. Indu was able do well as Pooja Narendran Unni, a girl with an aim and she did conquer the heart of family audiences. Indu is not ready to stick on to just small screen, she likes to be a part of the large screen as well. She will be patiently waiting until the release of "Anabella" to take a further step in Malayalam film industry. Right now she is getting offers from serials and films, but she is choosy and would like to go for good films and for character oriented roles. While watching movies itself, Indu looks at the character rather than the movie as a whole, hence such a girl will demand prominent roles in films as well. Lets hope this bold young actress will flourish in the near future.